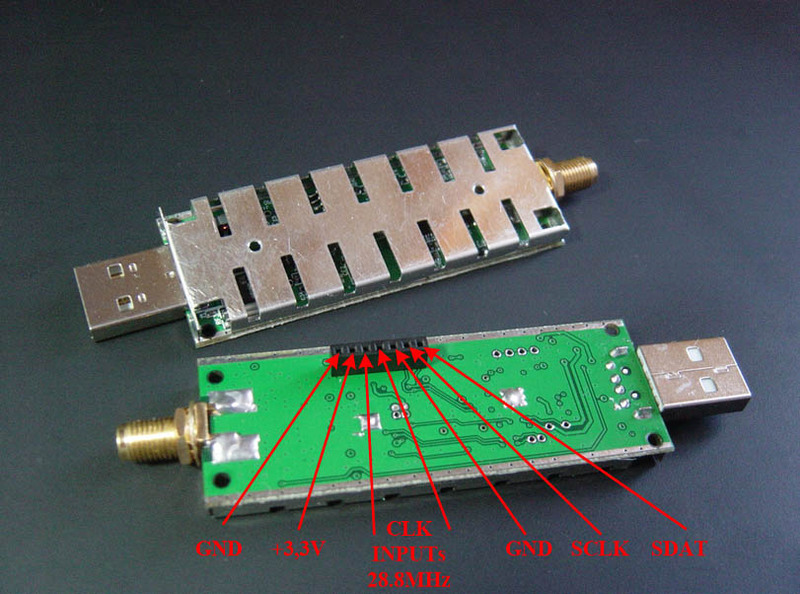 The Single Channel Receiver is based on the improved RTL-SDR v.3 dongle. See this announcement post with the full overview of the RTL-SDR v.3 features. Electromagnetic shielding cage is used instead of a metal case in order to protect the dongle from electromagnetic waves and improve the cooling of the internal components of the RTL-SDR. Peter W East has analysed the thermal characteristics in the paper “Improving Frequency Stability of the RTL2832U SDR for dual-Channel H-line Receivers or Interferometry “. He writes: “The RTL2832U SDR has low thermal mass so the operating temperature and the quartz crystal’s frequency stability is at the mercy of the ambient temperature and the effects of internal power dissipation.” Since the tuner and the microcontroller are the main heating sources on the dongle producing temperatures of over 50°C, the removal of TCXO 28.8 MHz from the RTL-SDR board and usage of external synchronisation from the clock card improves the characteristics of the coherent system because in this case the frequency clock generator 28.8 MHz is structurally separated from the hot main board. The single channel receiver can be used in different coherent systems with the required stability of the reference frequency through the suitable choice of the CLK_CARD with the stability from 0.1 to 2 ppm.